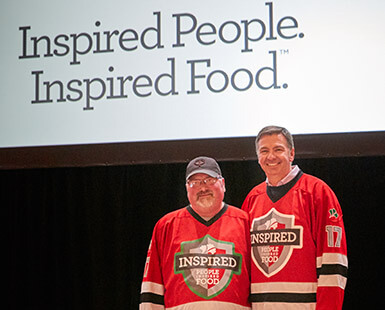 Fourteen years ago, a handful of employees in dry sausage at the Hormel Foods Austin (Minn.) Plant decided to get together on a cold Minnesota weekend for a friendly ice fishing competition along the banks of the Cedar River. The agreement? Five dollars per person, with the money going to the person who caught the biggest fish. 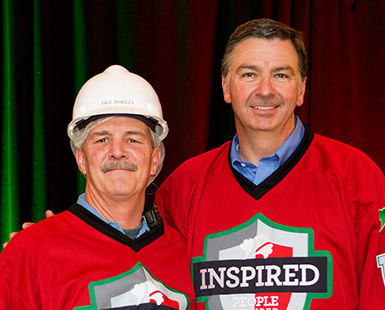 Mark Turvey and Jim Snee, Hormel Foods CEO. Mark Turvey, a 33-year employee of Hormel Foods and one of the contest’s organizers, had no idea the friendly competition would one day morph into an annual event, drawing hundreds of anglers—young and old—to raise money for cancer research. Now dubbed “Fishing for a Cure,” the contest is part of Austin’s annual Paint the Town Pink festivities and has raised more than $86,000 for cancer research at The Hormel Institute. * Last year alone, Fishing for a Cure raised a record $19,800. Mark’s positive influence outside of work through involvement with events such as Fishing for a Cure, coupled with his strong work ethic and willingness to help others while on the clock, led to him being named the inaugural Pride of the Jersey recipient at the Austin Plant. Receiving the jersey definitely meant a lot. 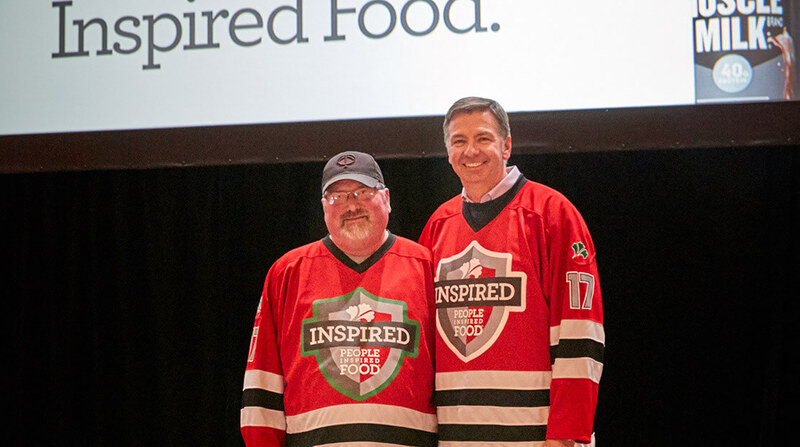 For someone who likes to “fly under the radar,” Mark was caught off guard at the annual road show, where Austin Plant Manager Clint Walters presented the jersey to him. Mark, described as hardworking and humble by Clint, says it was nice to be recognized for his efforts, both as an influence in and outside of work. Away from Hormel Foods, Mark, an Austin native, is kept busy with his wife, Barb, two daughters, three step-children and 14 grandchildren. When not enjoying time with family and friends, he can be found camping, fishing or on the diamond, umpiring high school fast pitch softball. Though Mark long ago passed on his duties of organizing the fishing contest, he continues to support cancer research by competing in Fishing for a Cure. And in what was a natural hand-off, Mark and Clint selected 21-year production professional Rod Ryks—the pink-bearded breast cancer research champion—as the plant’s next recipient of the jersey. 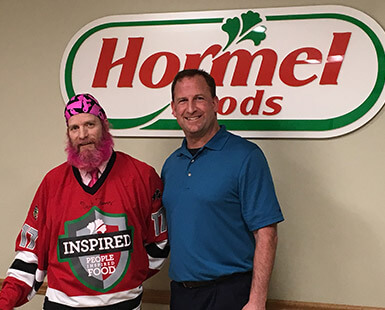 *Former Hormel Foods employee Duane Smith, and current employee Jim Nelson, started Fishing for a Cure and began giving donations to The Hormel Institute’s cancer research in 2009. Today, Hormel Foods employee Glenn Newman leads the event’s organizational efforts.